One of the fundamental features of GST is the seamless flow of input credit across the chain (from the manufacture of goods till it is consumed) and across the country. What can be claimed as ITC? 1. 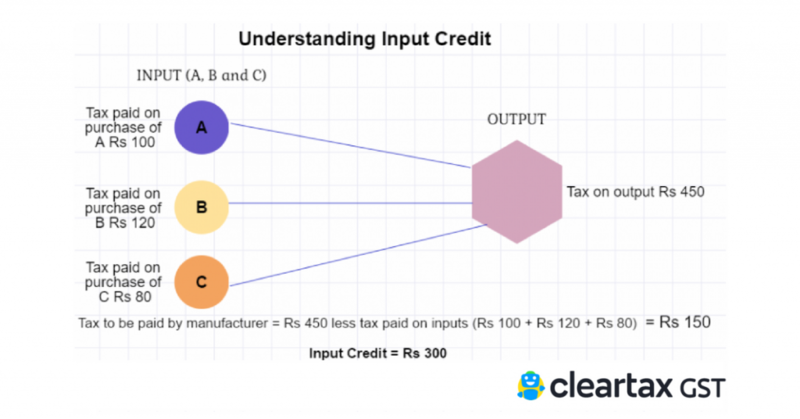 What is input tax credit? Input credit means at the time of paying tax on output, you can reduce the tax you have already paid on inputs and pay the balance amount. When you buy a product/service from a registered dealer you pay taxes on the purchase. On selling, you collect the tax. You adjust the taxes paid at the time of purchase with the amount of output tax (tax on sales) and balance liability of tax (tax on sales minus tax on purchase) has to be paid to the government. This mechanism is called utilization of input tax credit. For example- you are a manufacturer: a. Tax payable on output (FINAL PRODUCT) is Rs 450 b. Tax paid on input (PURCHASES) is Rs 300 c. You can claim INPUT CREDIT of Rs 300 and you only need to deposit Rs 150 in taxes. 2. Who can claim ITC? ITC can be claimed by a person registered under GST only if he fulfills ALL the conditions as prescribed. c. Returns have been filed. d. The tax charged has been paid to the government by the supplier. e. When goods are received in installments ITC can be claimed only when the last lot is received. A person registered under composition scheme in GST cannot claim ITC. 3. What can be claimed as ITC? The details of reversal of ITC will be furnished in GSTR-2. To find out more about the segregation of ITC into business and personal use and subsequent calculations, please visit our article. ITC claimed by the person has to match with the details specified by his supplier in his GST return. In case of any mismatch, the supplier and recipient would be communicated regarding discrepancies after the filling of GSTR 3. Please read our article on the detailed explanation of the reasons for mismatch of ITC and procedure to be followed to apply for re-claim of ITC. The following documents are required for claiming ITC: 1. Invoice issued by the supplier of goods/services 2. The debit note issued by the supplier to the recipient (if any) 3. Bill of entry 4. An invoice issued under certain circumstances like the bill of supply issued instead of tax invoice if the amount is less than Rs 200 or in situations where the reverse charge is applicable as per GST law. 5. An invoice or credit note issued by the Input Service Distributor(ISD) as per the invoice rules under GST. 6. A bill of supply issued by the supplier of goods and services or both. However, ITC is not available for- i. Capital Goods used exclusively for making exempted goods ii. Capital Goods used exclusively for non-business (personal) purposes Note: No ITC will be allowed if depreciation has been claimed on tax component of capital goods. Please visit our other articles discussing ITC under GST in detail. New CGST law for Input tax credit utilisation will apply from 1st Feb 2019. The order in which we can utilise ITC has been changed. Read to know more. Read here to know about the procedure of claiming input tax credit under present and proposed simplified GST return filing system. Inverted duty structure or Inverted rate structure is a case where GST rates on Inputs materials is more than outward supplies. Know what are the implications and issues. 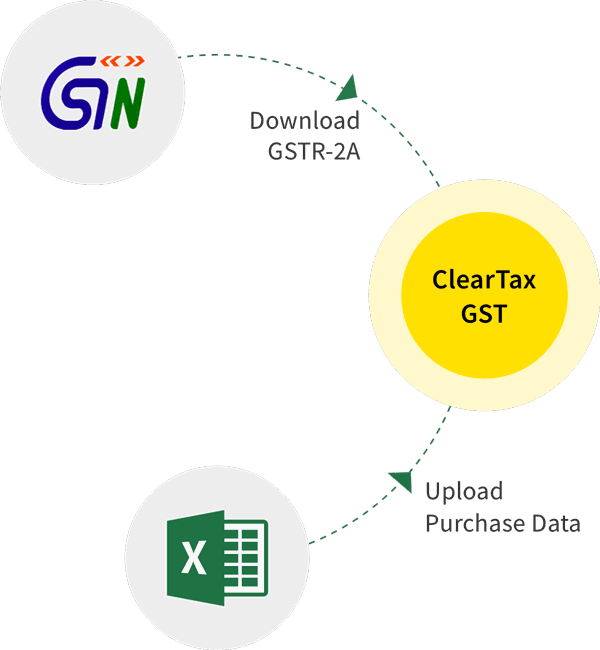 All Purchases are automatically reflected in your GSTR-2A and therefore a reversal of input tax credit has to be done while filing your GSTR-2. The distribution of ITC by Input Service Distributor has very specific rules under GST. Know more about the process and conditions for ITC distribution. There are certain cases when ITC under GST cannot be availed. like the supply of life and health insurance. These cases are mentioned in the CGST Act. 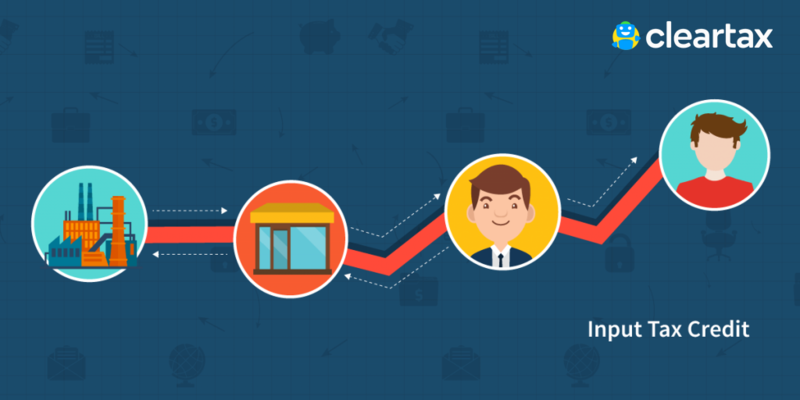 Treatment of ITC on Transfer of Business is different than the regular ITC. Form GST ITC-02 has to be submitted in case of amalgamation. Fulfillment of Input Tax Credit under GST - Conditions To Claim is one of the most critical activity for every business to settle its tax liability. Input credit on job work can be claimed if goods are returned in 6 months. Under GST, there is sufficient limit for goods to be returned from job work. Who is a 'Taxable Person' under GST? Learn all About the Types of Taxable Persons and Provisions for Each Under the GST Law. What is Input Credit? And how to claim it? Understanding the mechanism around input credit in GST.